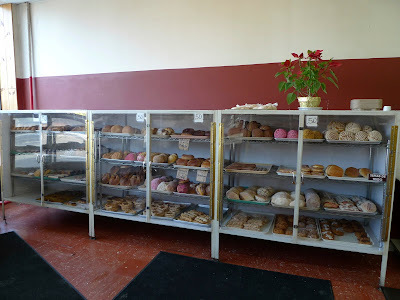 I happened to run into this bakery while I was waiting for the bus one day. I was on the way to meet up with some friends so I just snuck my head in really quickly, made a visual footprint and vowed to come back at another time to try their treats. I finally remembered this weekend to go back and now I know I am in serious trouble. This place is way too close to me, how will I be able to resist? It has a very nondescript storefront, but this is what this bakery is about, a solid bakery serving up probably 100 different types of pastries without all the pomp and circumstance. The pastries are 50 to 70 cents a piece, can you believe it? I'm used to paying $5 for the same thing at a fancy bakery and this place tastes pretty darn good. 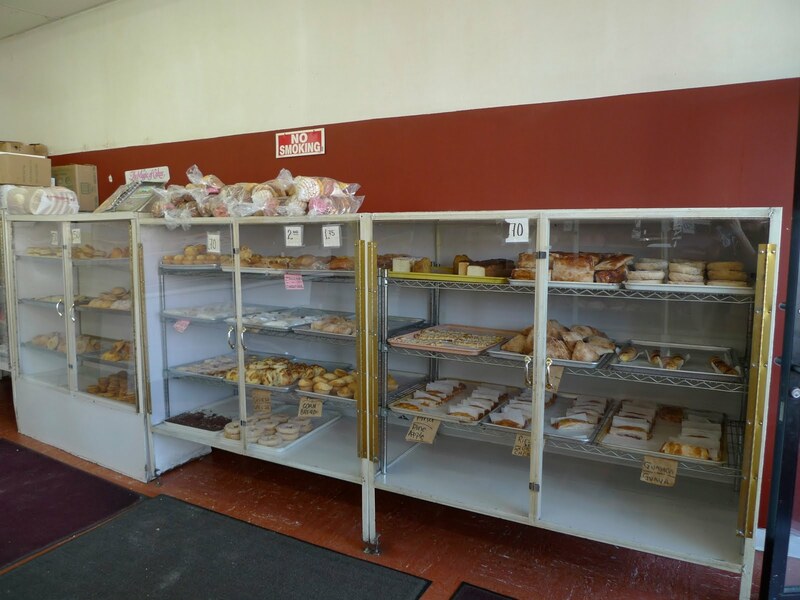 The store is lined with these plastic display cases filled with different types of croissants, rolls, pound cakes, Mexican pastries and cookies as well as your standard bakery fare. They also sell individual servings of cake, flan and jello. I couldn't resist so I bought a couple different pastries to share with my roommate. I saw some signs for guava pastries so I knew I had to try some. I asked the guy at the counter what he recommended. 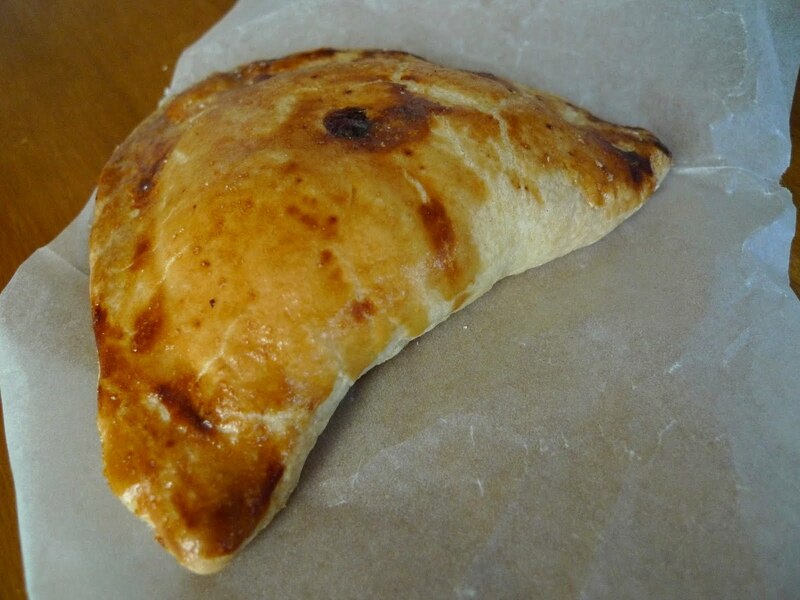 He told me that this pastry came out of the oven a few hours ago and was fresh. It didn't take much convincing for me to get this one. It also doesn't hurt that it's 70 cents. I highly suggest asking which ones are fresh, because they make a big difference. The pastry was sooo flaky and with the sprinkle of sugar on top and guava filling in the center, I gobbled this up in seconds. Guava, you are now my new favorite fruit. Here's a guava empanada. 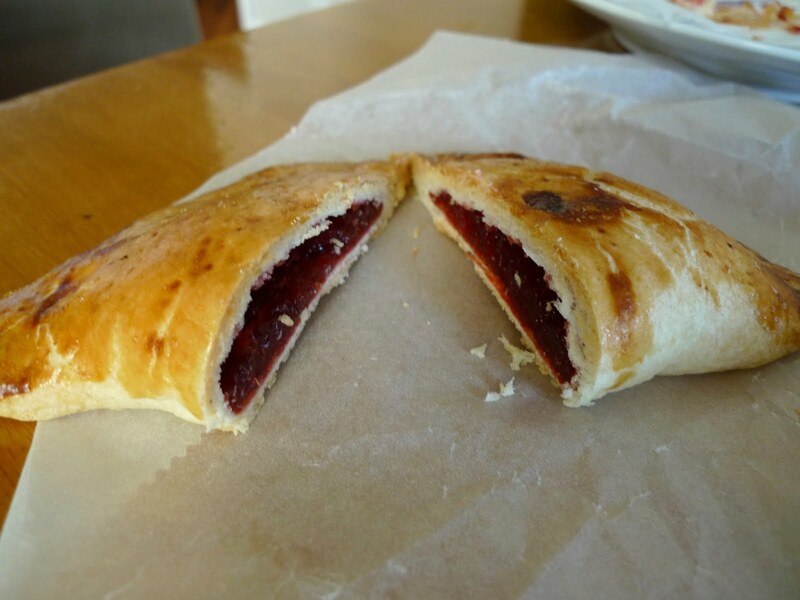 He likened this to a fruit pie. Here's what it looked like cut in half. I'm not the biggest fan of pie crust, but this was delicious. 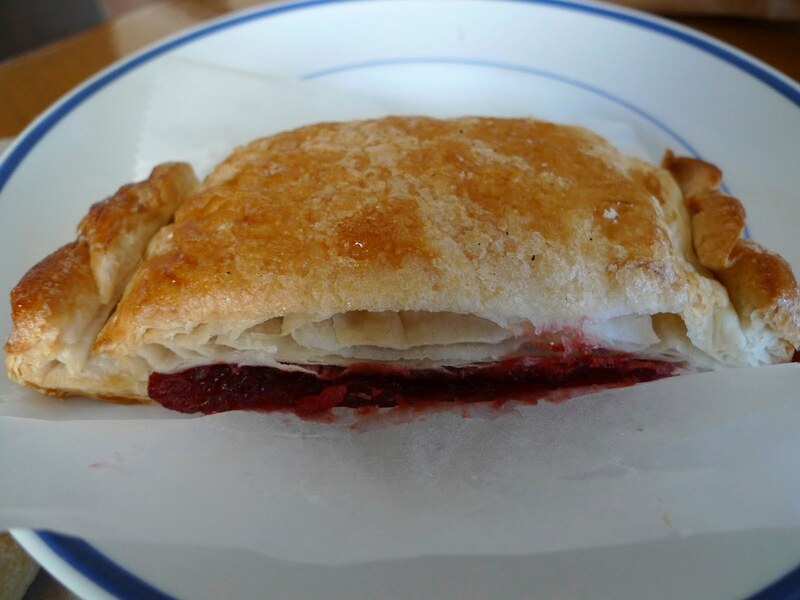 It wasn't too thick, but provided the perfect amount of crust for the fruit filling inside. I didn't know guava had such a deep pink color, but who am I to question La Fama Bakery. This custard horn was calling out to me as well, so I got one of these as well. My roommate liked this one the best. 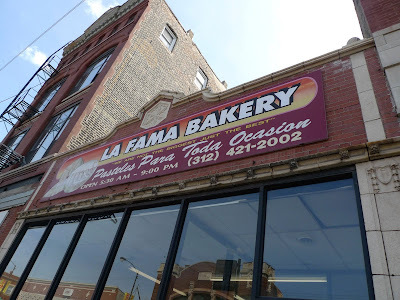 Now for the piece de resistance, they sell individual servings of flan for $1.50. I kept this in the fridge and finally got to try it today. This thing was so good and so much better than flan I've eaten at restaurants and it was only $1.50. Hello! Get on it people, you need to go there and get some for yourself. If I have a dinner party, don't tell anyone, but this is what I'm serving for dessert. 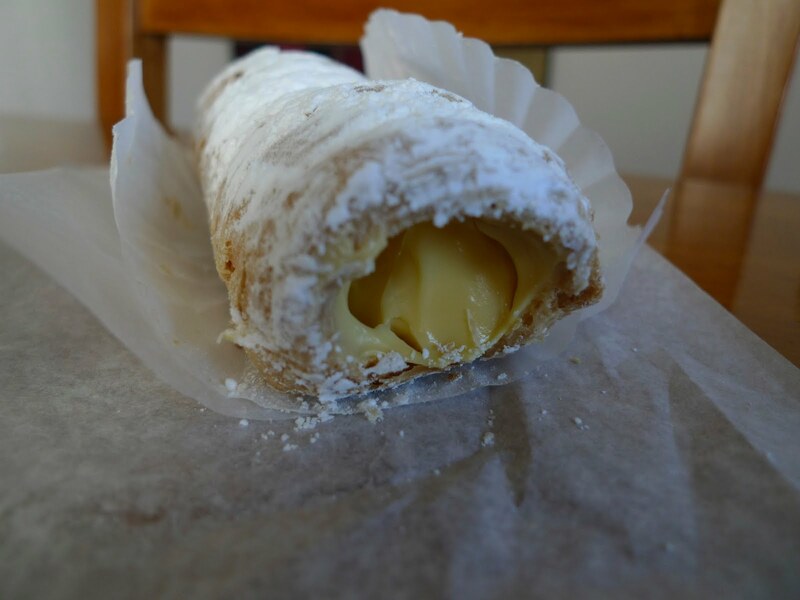 that custard horn looks really yummy -- how was the crust on that? soft or crispy? 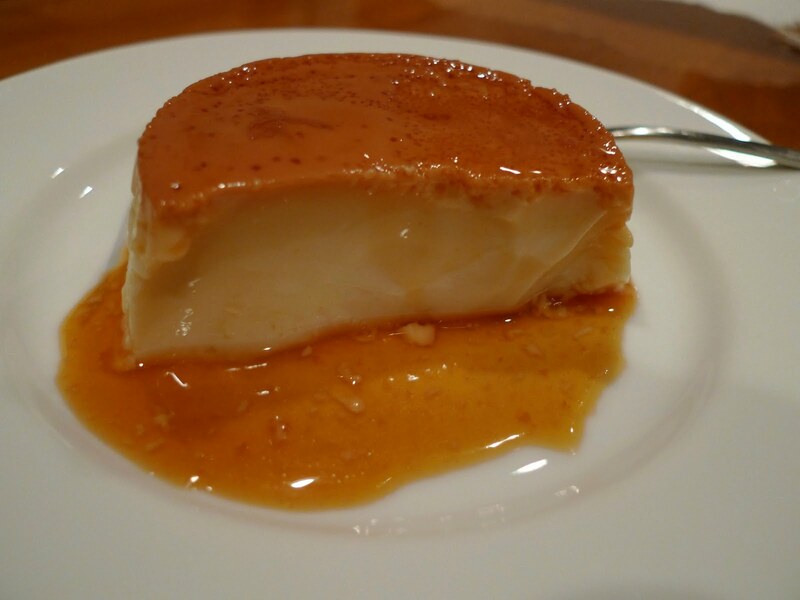 what exactly is flan ?? The crust is soft. But when you pull on it, it kind of unravels, so it's fun to eat. At least for me it is. haha. Next time you come, I'll bring some for you. Girl, you never had flan? Oh it's so good. It's basically custard with caramel on top. When you make it, you put the caramel syrup on the bottom of the mold, then fill it with the custard. When you serve it, you flip the thing upside down and what you get is this caramel layer on the top. It's delicious. Kind of like a creme brulee but instead of the hard sugar topping, you have caramel sauce on top. dude, ask them if they have tres leches cakes. have you ever had that? it's manna from heaven! Esther! You realize you are giving me a reason to go back again ... pronto, right? Yikes, I really hope they don't have some or I am in big trouble.